From the neon overcoat she wore for her official birthday this June to the Norman Hartnell gown for her coronation in 1953, it could be said that the Queen has kept fashion in check throughout her reign. A new exhibition at Buckingham Palace, Fashioning a Reign: 90 Years of Style, shows how, to use modern parlance, the 90-year-old makes her clothes work for her – and not the other way round. Ma’am is always in charge. As the first female monarch in more than 50 years, Queen Elizabeth II was required to have several items custom-made for her – especially for her more ceremonial tasks. A mantle of the Order of the British Empire is a case in point – her father and grandfather would have worn military uniforms. 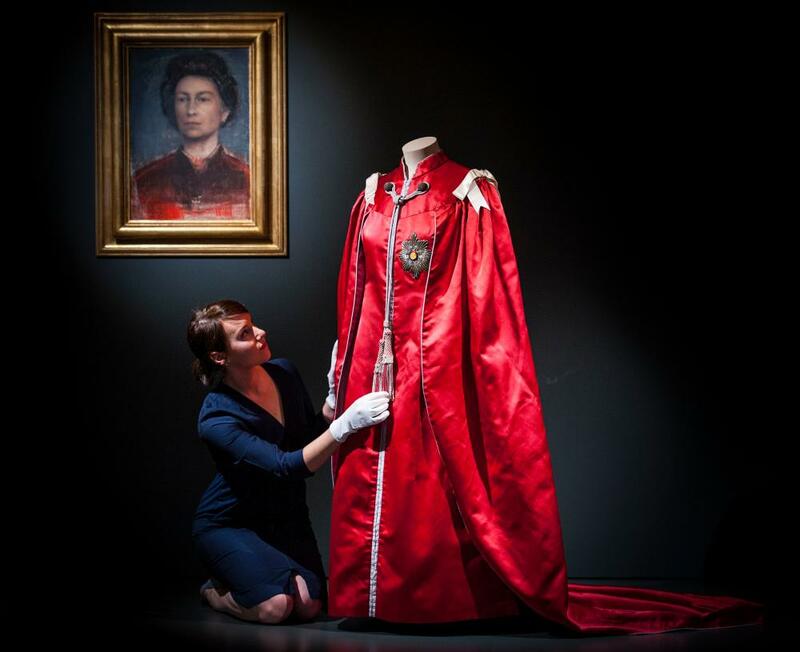 The zipped-up crimson robe made for the Queen is both practical and grand, and was designed in 1952 by then-Royal College of Art student Marion Foale. “She realised it’s a unique tool in a female sovereign’s power that a male sovereign simply wouldn’t have,” says de Guitaut. There is also a lot in the exhibition to appeal to a less royalist fashion crowd. Earlier in her reign, the Queen wore British couturiers Norman Hartnell and Hardy Amies and their gowns from the 50s and 60s are a highlight. 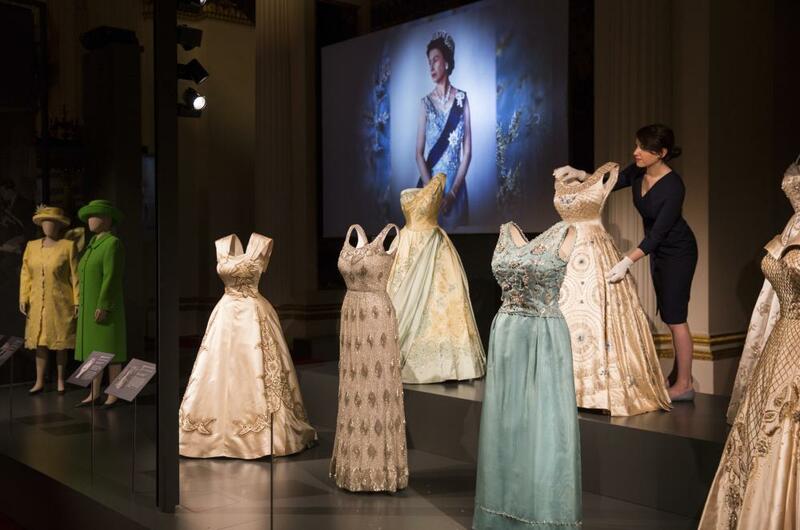 The wedding dress and coronation gown – both designed by Hartnell – are shown here together for the first time, along with beautiful mid-century designs worn for state dinners and official portraits. The embroidery on the coronation gownfeatures the symbols of all the British Isles but also, at the request of the Queen, the countries of the commonwealth. The wattle of Australia is rendered in crystals, along with the leeks of Wales. Hartnell also added a four-leaf clover on the hip, for luck. “This was the ninth design that Hartnell produced,” de Guitaut says. “The process is very much a dialogue, with the designer submitting sketches and the Queen making comments. This was the first coronation to be televised so Hartnell’s sense of theatre stood him in good stead. It’s displayed to be viewed as a work of art which, you could say, is exactly what it is.” Just like its wearer, Warhol might argue. Other highlights include the replica of the Queen’s christening gown worn recently by Prince George and Princess Charlotte, and the peach dress made famous by the James Bond stunt at the Olympic ceremony in 2012 (the one on show was worn by her majesty rather than her stunt double, but still). There is also a gallery of dresses that fit into the peculiarly royal custom of dress designs based on places the queen is visiting: a turquoise one with Olympic rings worn to Montreal in 1976 – where the olympics were being held – is a striking example.